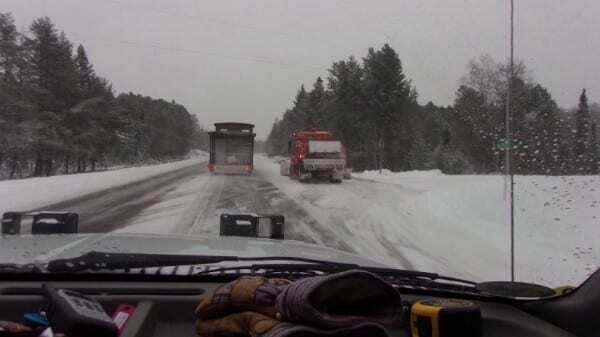 How would you like to be the guy transporting this down a snow covered highway? 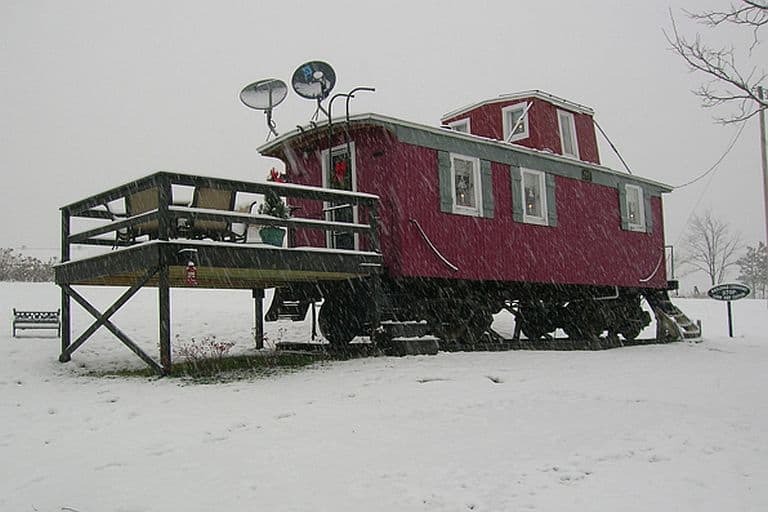 Perhaps a new Discovery Channel show is in order, “Ice Road Tiny House Towers”. One reason why it remains such a special project comes from the source of their inspiration. 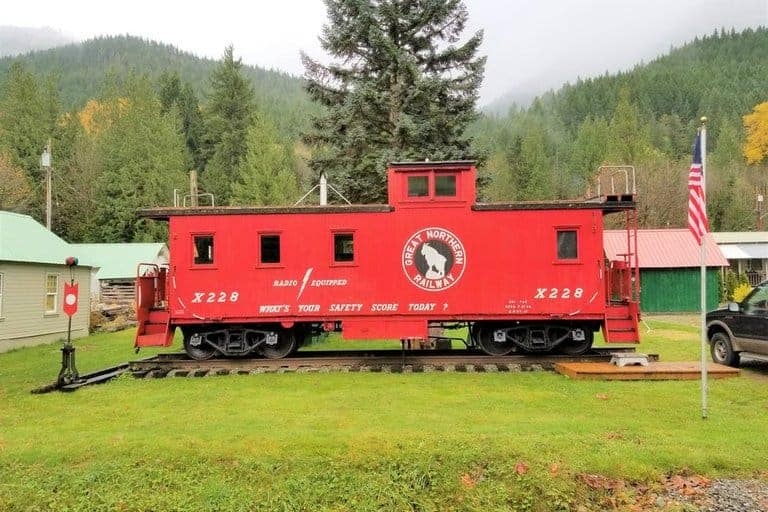 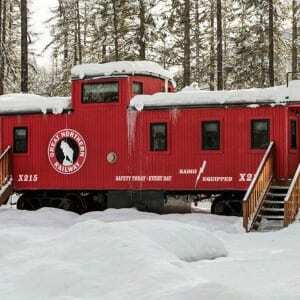 A retired train engineer and veteran designed it, giving special meaning to the staff. 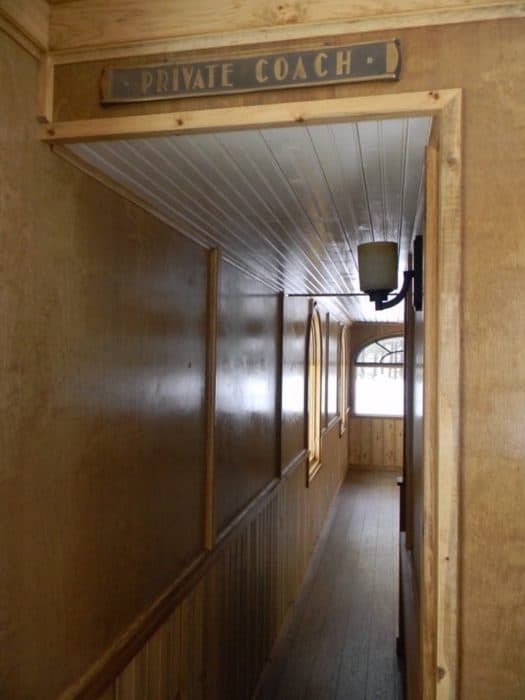 He even donated some of his railroad artifacts collected over the years for the build, adding that extra special authenticity. 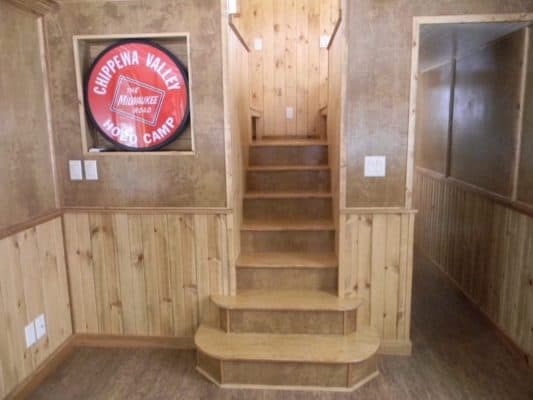 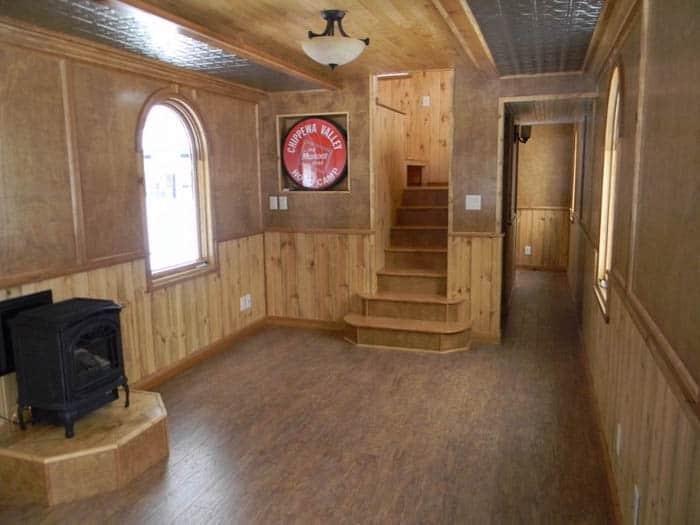 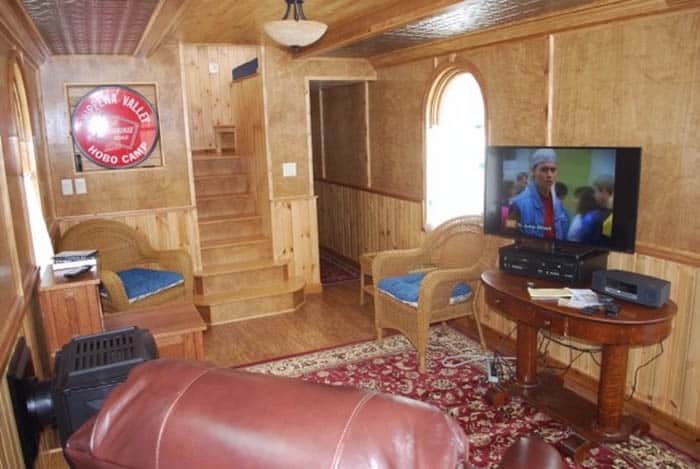 In case you’re wondering what a “park model RV” is exactly (I wasn’t sure until recently myself) it’s simply an RV home on steroids, with a bit more character and pizzazz if you will. 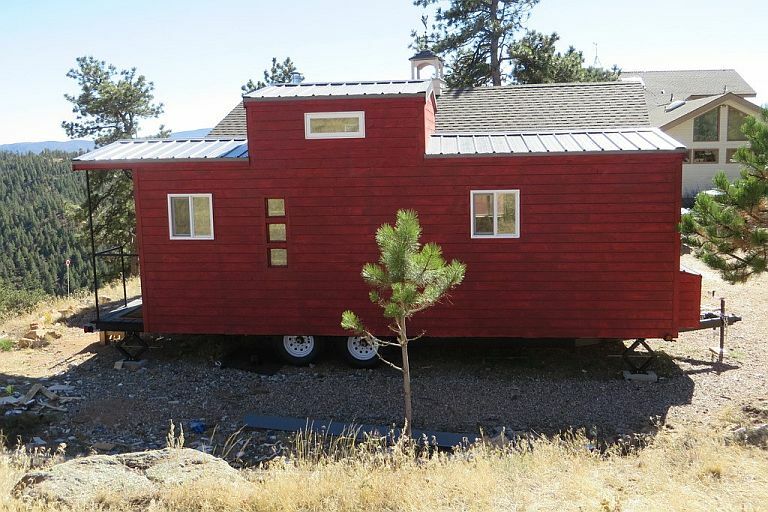 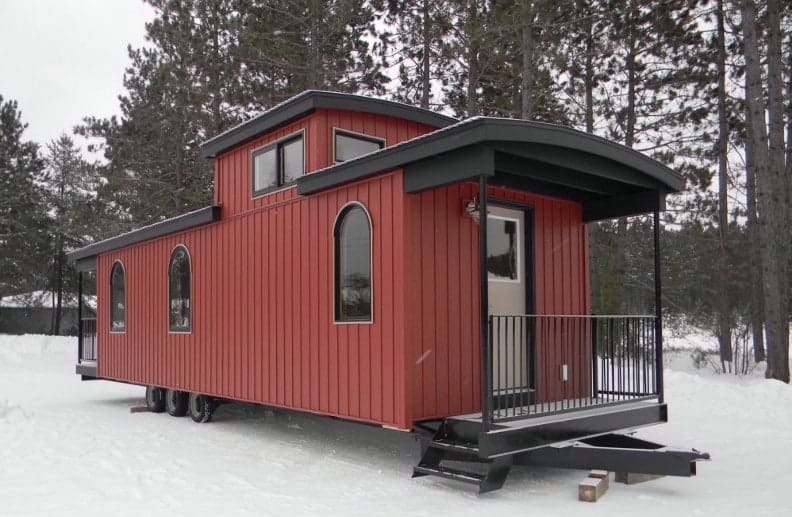 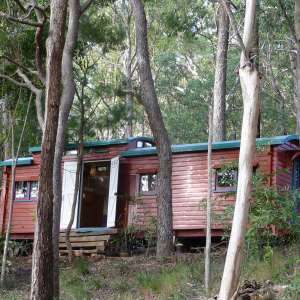 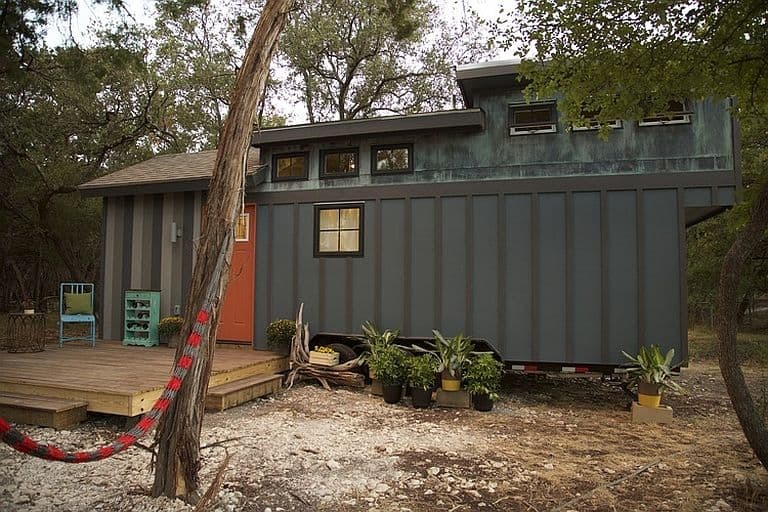 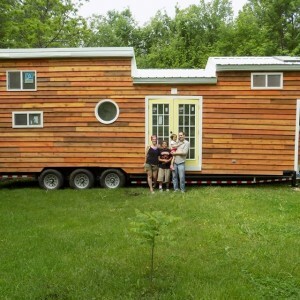 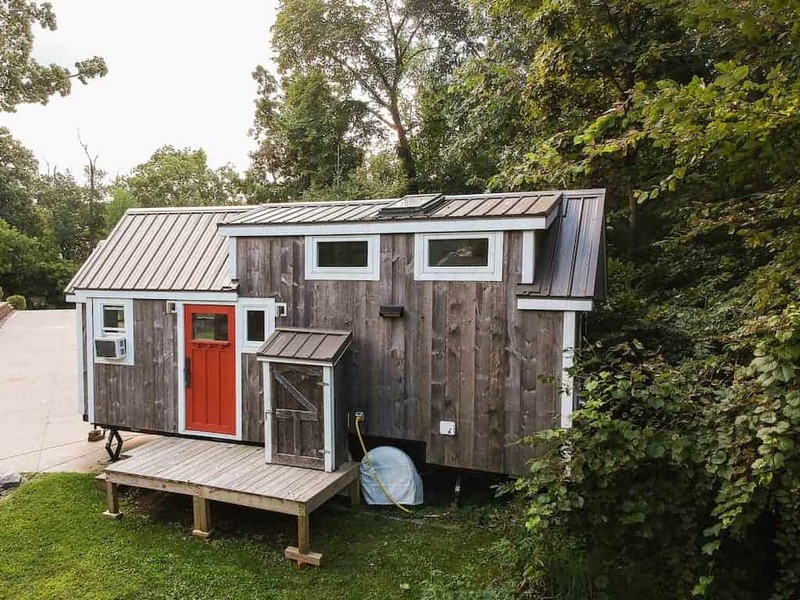 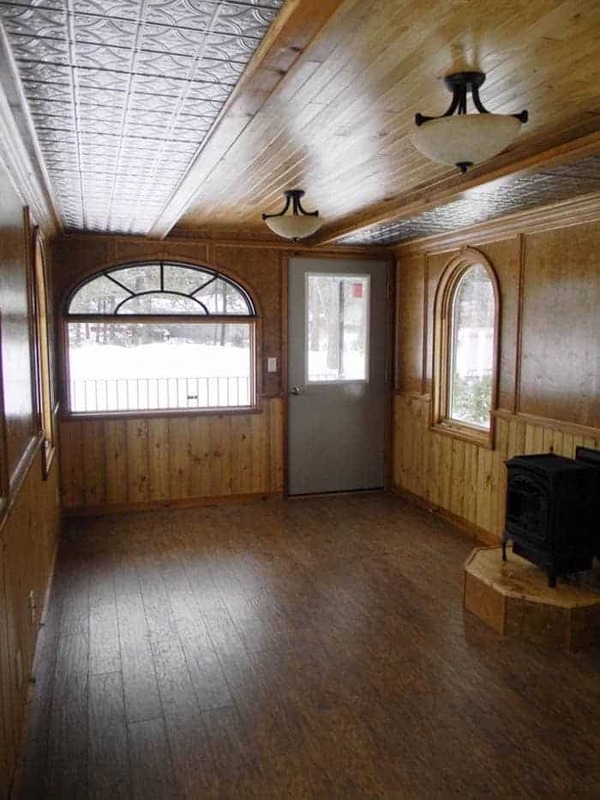 They fit the tiny home qualification, coming in around 400 square feet and just about 12 feet wide in most cases. 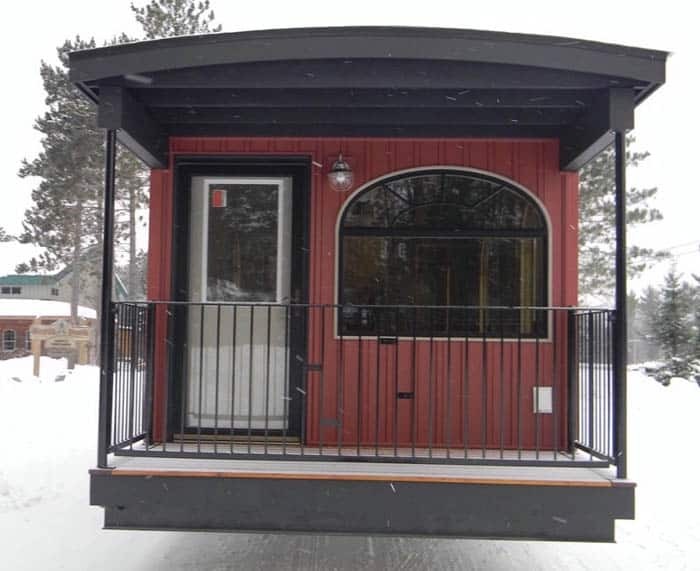 North Park Homes builds every one of their models specifically to suit the customer’s needs, matching their individual taste and personality to deliver a truly bespoke design. 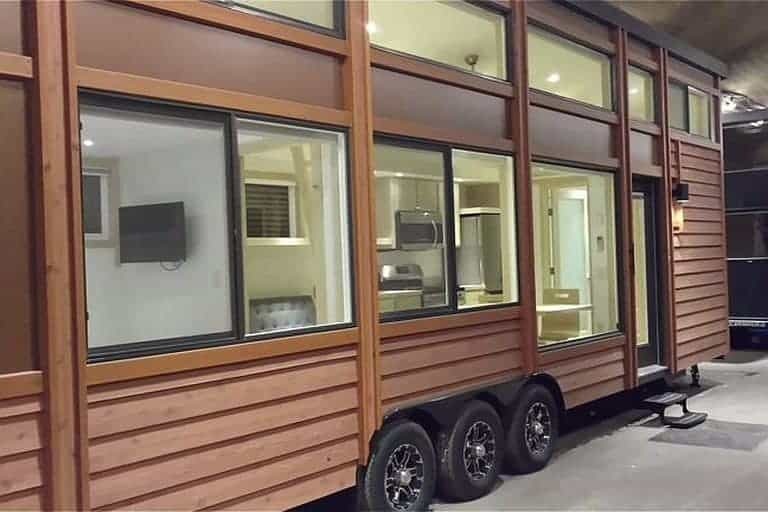 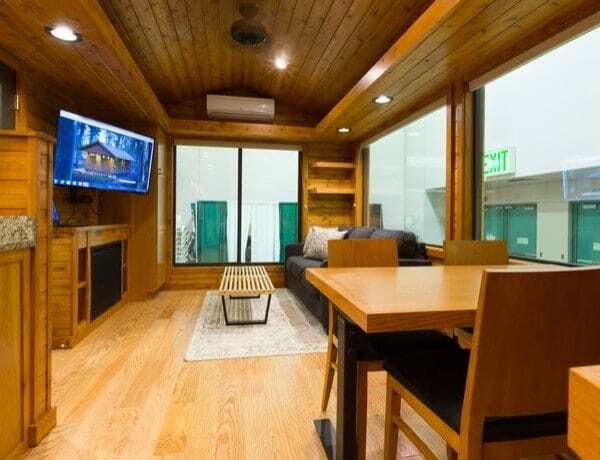 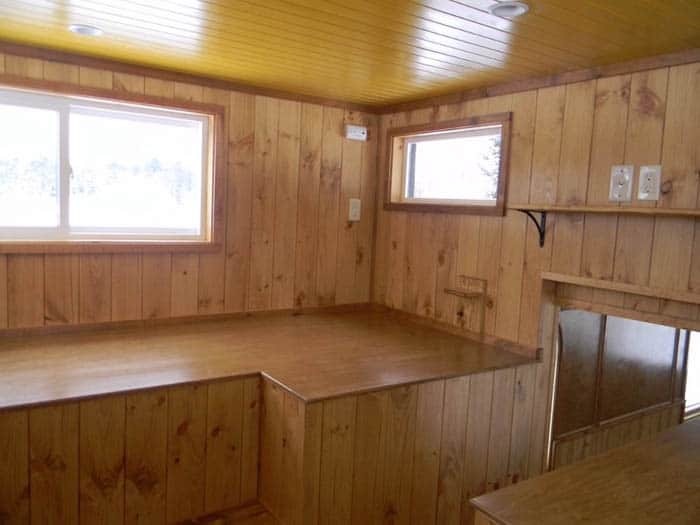 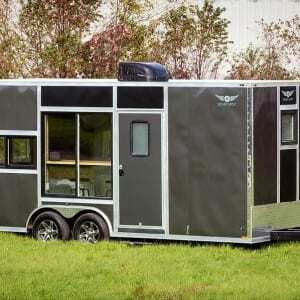 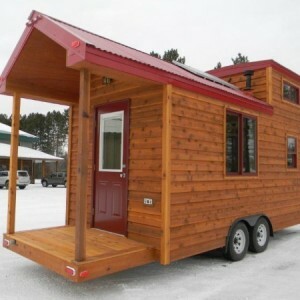 What would you ask for if you could have someone build your dream tiny home, or park model RV home?